While that may sound intuitive, the findings challenge a long-held theory that the ancient Minoans came from Egypt. 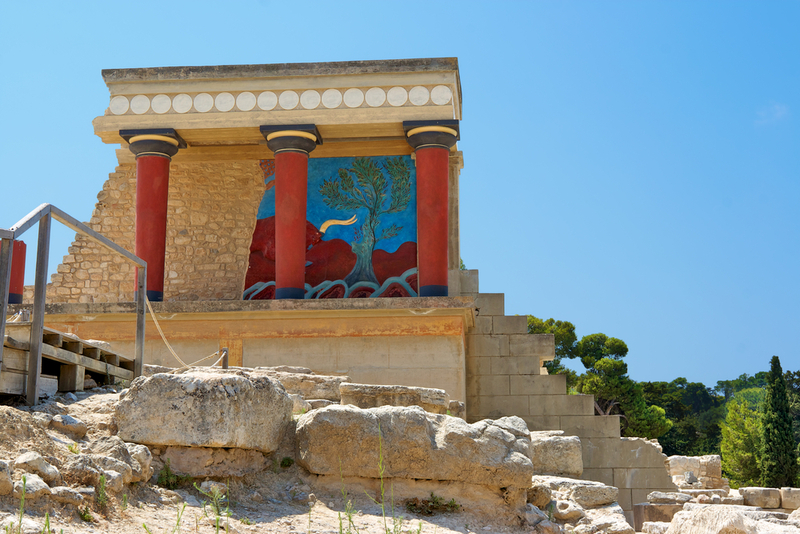 The Minoan culture emerged on Crete, which is now part of Greece, and flourished from about 2,700 B.C. to 1,420 B.C. Some believe that a massive eruption from the Volcano Thera on the island of Santorini doomed the Bronze Age civilization, while others argue that invading Mycenaeans toppled the once-great power. Nowadays, the Minoans may be most famous for the myth of the minotaur, a half-man, half-bull that was fabled to lived within a labyrinth in Crete. When British archaeologist Sir Arthur Evans discovered the Minoan palace of Knossos more than 100 years ago, he was dumbstruck by its beauty. He also noticed an eerie similarity between Minoan and Egyptian art, and didn't believe that the culture was homegrown. "That's why Evans postulated the civilization was imported from Egypt or Libya," Stamatoyannopoulos told LiveScience. To test that idea, the research team analyzed DNA from ancient Minoan skeletons that were sealed in a cave in Crete's Lassithi Plateau between 3,700 and 4,400 years ago. They then compared the skeletal mitochondrial DNA, which is stored in the energy powerhouses of cells and passed on through the maternal line, with that found in a sample of 135 modern and ancient populations from around Europe and Africa. The researchers found that the Minoan skeletons were genetically very similar to modern-day Europeans — and especially close to modern-day Cretans, particularly those from the Lassithi Plateau. They were also genetically similar to Neolithic Europeans, but distinct from Egyptian or Libyan populations. The findings argue against Evan's hypothesis and suggest that locals, not African expats, developed the Minoan culture. "It was a period of excitement around the Mediterranean," so although the Minoans definitely had contact with their African neighbors across the Mediterranean, any similarities in art were probably the result of cultural exchange, Stamatoyannopoulos said. The findings suggest that the ancient Minoans were likely descended from a branch of agriculturalists in Anatolia (what is now modern-day Turkey and Iraq) that fanned out into Europe about 9,000 years ago. If so, the Minoans may have spoken a proto-Indo-European language derived from the one possibly spoken by those Anatolian farmers, the researchers speculate. Knowing that the Minoan language has Indo-European roots could help archaeologists decipher a mysterious Minoan writing system, known as Linear A, Stamatoyannopoulos said. The prevailing theories hold that Minoan was a separate language family. The analysis of DNA from the Lassithi cave is a "valuable contribution," said Colin Renfrew, an archaeologist from the McDonald Institute for Archaeological Research at the University of Cambridge, who was not involved in the study. However, to make a clearer connection to the Anatolian migration, the researchers should have compared the Minoan DNA with more DNA samples from modern and ancient Anatolia, he said.